For the second year in a row, the annual NYC tasting of the Union des Grand Crus de Bordeaux was affected by a blizzard — winter storm Jonas — this time the weekend preceding the January 25th tasting; last year’s was during! While most of the wines had arrived well before the storm, many chateau owners and reps were held up by horrendous travel delays, missing the event altogether. But in true New York spirit, the show went on, with industry volunteers pitching in for the pouring. And Jonas’ aftermath did little to dissuade the wine trade from attending the show, which focused on Bordeaux’s 2013 vintage. 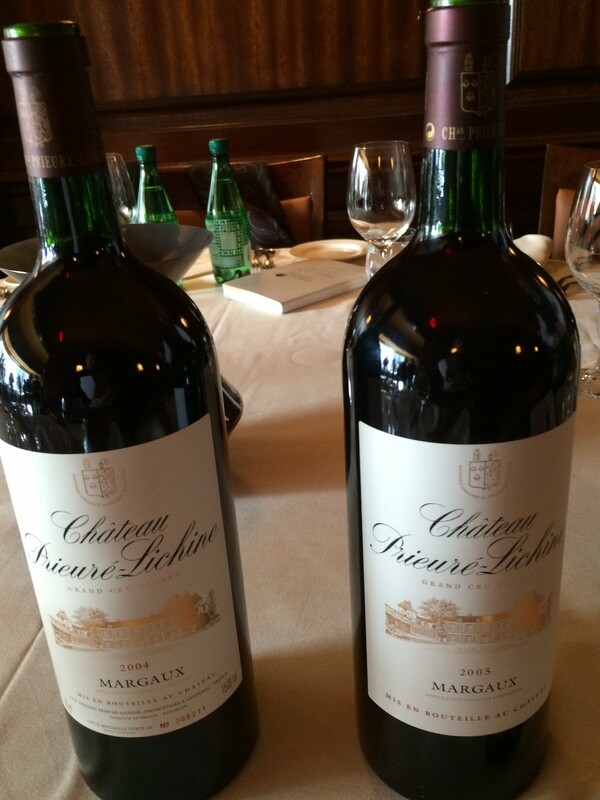 On the following day, the Wine Media Guild of New York (WMG) held its annual Bordeaux lunch, drafting off the Grand Cru tasting (the lunch had to be cancelled last year…due to the snow storm! ), featuring the Chateaux of Malescot St. Exupery (Margaux), Prieuré-Lichine (Margaux), Phélan Ségur (St. Estephe) and Siran (Margaux). Both events yielded valuable insights. 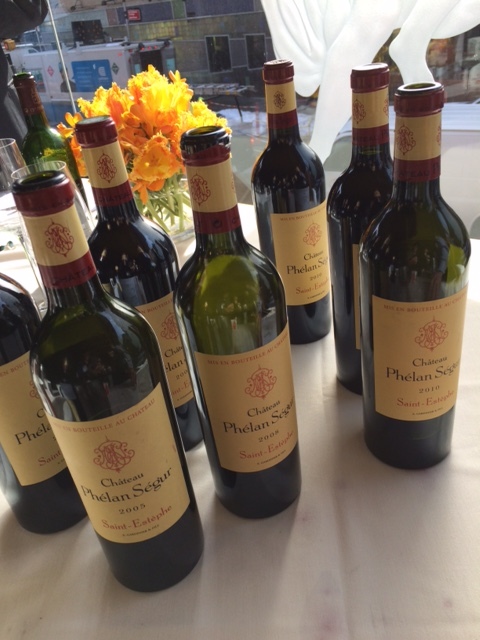 Speaking of weather — and 2013 — this Bordeaux vintage was one of the wettest and most challenging growing years in recent memory, particularly for the earlier ripening Merlot (Bordeaux’s most-planted grape, by the way), which faced heavy September rains — and rot conditions — leading up to harvest. But contrary to some media impressions, as well as audible complaints overheard from the trade at the Grand Cru tasting — 2013 is, in my opinion, far from being a lost vintage. First, the white Crus of Graves and Pessac-Leognan are again (as in 2012) stellar, and were a personal highlight of the tasting. Racy and bright, with vibrant fruit aromas and flavors of orchard, citrus and tropical fruits – often along with some judicious oak nuances — these whites came through the rainy vintage in fine form. They are world class…and underrated. Some are indeed expensive and collectible, like Smith Haut Lafite and Pape Clement, but many rate as relative bargains. Here’s a short list of favorites whites from the Grand Cru tasting (including the aforementioned): Chateau de Chantegrive; Chateau Carbonnieux; Domaine de Chevalier; Chateau La Louvière; Chateau Larrivet Haut-Brion; and Malartic Lagravière. For the wine trade, however, the Grand Cru tasting is really about the reds — the whites are, for many, just a side-show. And 2013 was clearly difficult for les Rouges. At the tasting, I heard “thin vintage”, even “non-vintage”, multiple times. While I didn’t have time to taste every chateau, I found plenty to like from those I sampled. In the main, the chateaux had to take what nature gave in 2013 (not much! ), and most couldn’t harvest at “ideal physiological ripeness” (the predominate mantra these days), if at all. “Terroir”, that interplay between grape variety, a specific place/soil and microclimate, really told the story in this vintage, for better or for worse. And what has resulted, with individual variances, of course, depending on geography, geology, approach and size of bank account (! ), are vibrant, medium-bodied wines with elegant fruit and balance, making them excellent food companions, with no need to spend years in the cellar — truly a “drinking vintage”. And, hopefully, these Crus will be priced to move! At the WMG Bordeaux lunch the next day at Felidia in Manhattan, organized by WMG member Mark Golodetz, there was a walk-around tasting of selected recent vintages from each chateau, followed by older vintages, mostly in large format bottles, at lunch. The four chateaux fall into the lower and mid-range of the Grand Cru pricing pyramid (a range of $24-$46 for the 2013 vintage), which was Golodetz’s intent. In terms of classification, Malescot and Prieuré are Third and Fourth Growths, respectively (in the 1855 Classification); Phélan and Siran are both Cru Bourgeois Exceptionnel, And across the board, the quality of the wines represented was… truly exceptional. From the walk-around tasting, I was particularly impressed by the 2010 vintage — all four houses brought theirs, and they all showed extremely well; these will continue to improve in the cellar for a long time. Malescot and Phélan brought 2008s, both of which exhibited compelling aromatics, fruit and structure — perhaps this vintage is a bit overlooked? Siran’s 2011 is a complete package, sporting gorgeous black fruit aromas and flavors with firm tannic structure. The lunch was an embarrassment of riches: famous vintages and mature, balanced wines drinking beautifully, harmonizing with the hearty fare. This is what good Bordeaux is all about, and we had it in spades, one fantastic wine after the other, at fractions of the cost of the First Growths and Super Seconds. Cab %/St, estephe/chateau to chateau. Acid+fruit+Structue=food-friendly. Hopefully pricing will allow pleasure. This entry was posted in New York City, Restaurants, Wine, Wine + Food and tagged Bordeaux 2010 vintage, Bordeaux 2013 vintage, Chateau Malescot St. Exupery, Chateau Phelan Segur, Chateau Prieure-Lichine, Chateau Siran, Union des Grand Crus de Bordeaux, Wine Media Guild of New York, Winter Storm Jonas. Bookmark the permalink.